Let’s face it – digital healthcare is difficult. Hospitals deal with outdated enterprise technology, unpredictable security challenges, and bureaucratic processes – all while striving to provide value-based, patient-centered care. We empower health systems to transform data into insights that lead to safer, less costly and more effective care for their patients. We provide robust, interoperable, and HIPAA-compliant secure data platforms and customer-facing applications built on industry standards. Our solutions slash long-term integration and maintenance costs for today’s increasingly complex data environments. We want to build and maintain the digital foundations on which our partners build their world-class organizations. 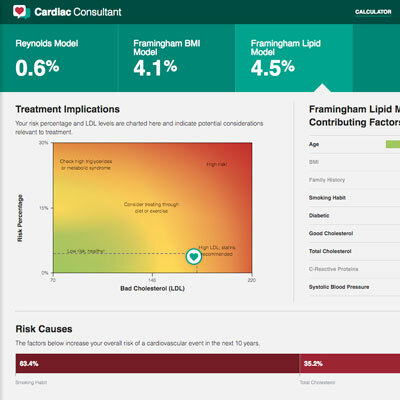 Cardiac Consultant helps patients and providers make decisions based on their health data. Deliver peace of mind by helping patients find the right care, quickly. Our open-source Secure FHIR Server® implementation is an industry-leading healthcare interoperability platform. Phoenix Enterprise is a data integration and interoperability platform built on the HL‌-7® FHIR® standard. 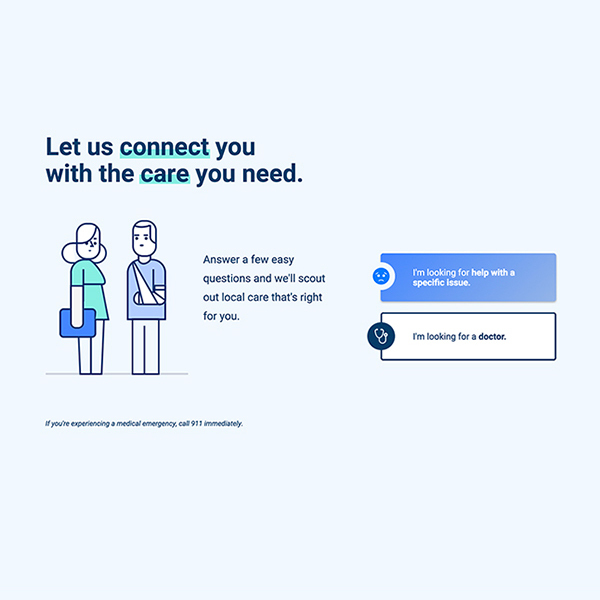 With it, you can create new classes of data-driven healthcare applications for consumer use, business process improvement, patient acquisition and engagement, and research. Our platform is secure, flexible, and efficient. Comprehensive access, audit, and provenance controls provide confidence that data is secure and private. And, industry best practices and standards reduce the long-term costs of integrating new EHR systems, data sources, and applications. 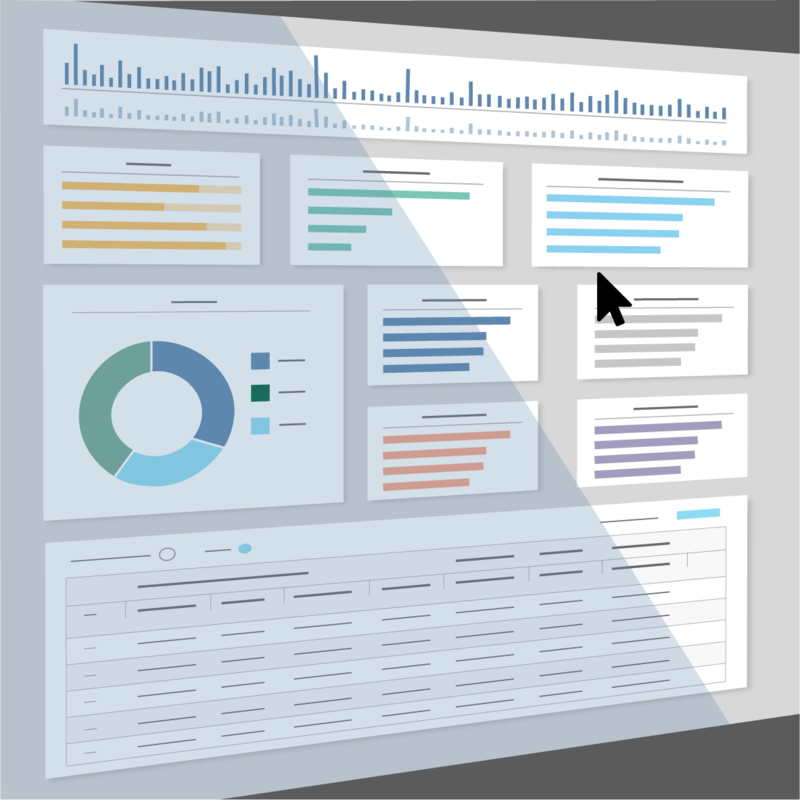 Phoenix Insights is a healthcare analytics and clinical informatics solution that transforms the flood of health data and metrics into timely, relevant, and actionable insights. It helps healthcare stakeholders target, manage, and monitor progress towards specific and measurable goals. Phoenix Insights works in harmony with the Phoenix Enterprise Platform to reduce the cost, complexity, and risk of traditional custom analytics solutions. This enables hospitals and healthcare organizations to reduce costs and improve the quality of care. Asymmetrik serves as a full-service software consultancy with expertise in custom software development, user experience and user-centered design, HIPAA-compliant cloud infrastructure and cybersecurity, and data integration. We partner with industry-leading healthcare organizations to increase their digital maturity and use technology to improve patient care and outcomes. Contact us if you are interested in learning more about any of our enterprise offerings. 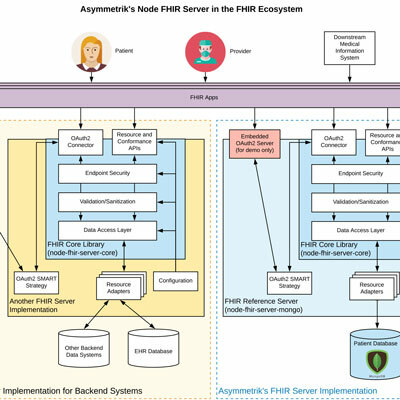 Asymmetrik offers an open-source version of the Phoenix Enterprise Platform and other useful tools for healthcare interoperability. We are committed to supporting the open-source community in order to improve healthcare. For developers interested in FHIR®, we provide the following resources. Phoenix Open-Source Server enables organizations to build secure, interoperable solutions that can aggregate and expose healthcare resources via a common HL7 FHIR®-compatible REST API. It was built as part of the ONC Secure API Server Showdown and is maintained by contributors from around the world. The main repository for Phoenix Open-Source Server is hosted on GitHub. There is also an open-source GraphQL add-on. These projects include documentation and guidance if you are interested in contributing or learning more. Ready to start building? The Node FHIR Server Documentation is a great place to start. It includes guides for getting started, configuring the server, setting up security options, and applying best practices. Need help? There are several resources to help get you going, including getting started guides for the open-source server as well as the GraphQL module. If you want help building your solution, you can contact us about enterprise support and consulting services. Find out how we can help your healthcare organization realize greater value while delivering better care.